This engaging introduction to Black Elk will show you how one person can accomplish big things.This colorful book introduces you to the world of Black Elk, one of the most amazing people of the twentieth century. You will learn about Black Elks life—from his childhood in the American West to his efforts to teach the world about his people’s religion and culture, preserving the Native American way of life—and his belief that we all have the power to make the world a better place. 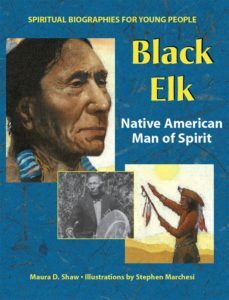 Through enjoyable biography, activities inspired by Black Elk’s values and beliefs, and his own words, you will see how one person can have a positive influence on the world.